This is definitely something you wouldn’t want to happen only yards from your home, that’s for sure. 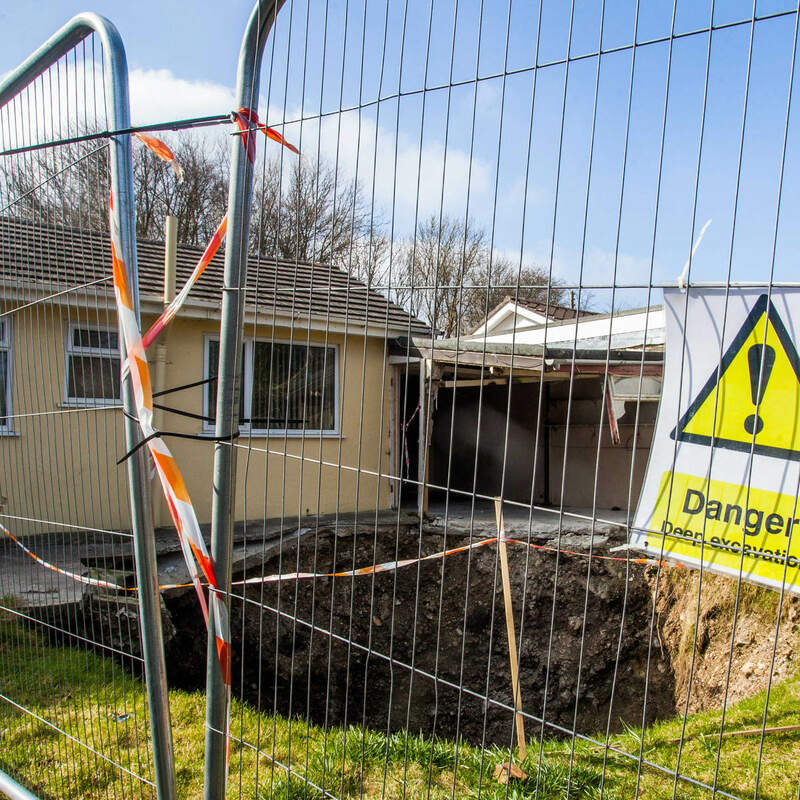 A massive sinkhole has opened up in Cornwall, only metres away from someone’s house. Mark Thomas captured footage via drone which shows a giant 300ft-gaping hole right next to a bungalow in Scorrier- an area with a history of mine workings. It apparently appeared after a huge mineshaft collapsed right next to the property. 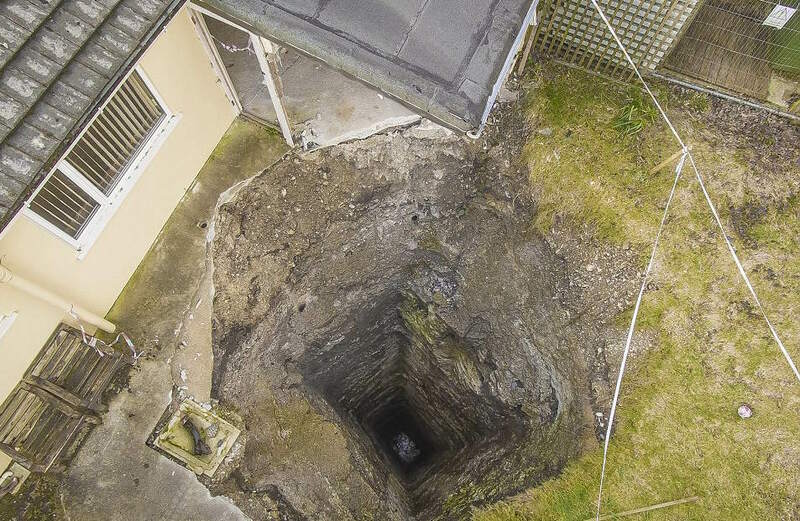 A massive mineshaft opens up under a garage at a house in Scorrier near Redruth in Cornwall. This shaft is truly massive and is approximately 300ft to water and god knows how deep from there! Cornwall has a fair few abandoned mines, so every so often the old mineshafts create dangerous sinkholes. Since experts started drilling to explore the depths of the mine, half a garage and a patio have disappeared into the hole. So I can’t imagine them being able to sell on this house anytime soon.